Please join us for the opening of Sylvia Einstein’s “Let Fabric Speak” exhibit here at The ArtQuilt Gallery•NYC. This will take place on Monday, July 9, from 6 to 7:30 pm. Sylvia will be coming from her Boston-area home to join us that night. Sylvia considers her work to be modern versions of traditional quilts. She works extensively with grids and blocks but often breaks seam lines visually, resulting in unexpected lines and patterns. 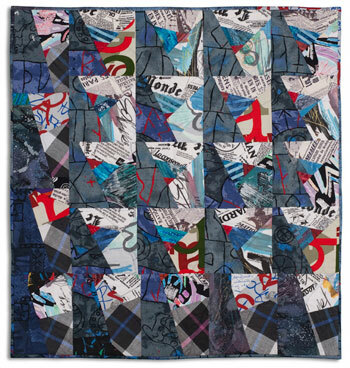 These art quilts will be on display from July 10 through August 25. Please try to see these 13 quilts in person, and to encourage others to drop by as well. 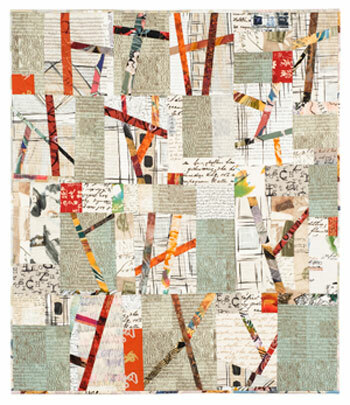 ArtQuilt Gallery•NYC, 133 West 25th Street, New York, NY 10001 (212) 807-9451.